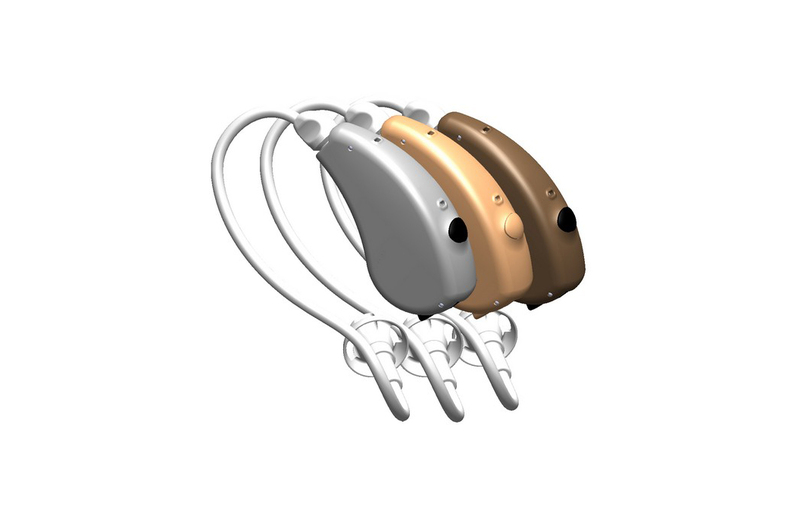 Audina’s New Arro® Family of Open Fit Instruments offers next generation hearing technology in a compact case design. Audina’s New Arro® Family of Open Fit Instruments offers next generation hearing technology in a compact case design. The instrument features a 312 battery; a New “Power Seal Thin Tube,” capturing high fidelity sound, 24-bit processor, optimized “Dual Sound Computing Power,” available in 2, 6 and 12 channels. The Arro Open Fit “Power Seal Thin Tube” system, microphone and “Dual Sound Computing Power” unite to minimize the chance of feedback. The environmental recognition system combines with twelve channel layered noise reduction to reduce unwanted background noise and minimize occlusion, thus providing for a more natural listening experience. The state of the art adaptive directionality algorithm in the Arro 6AD and Arro 12 offers constant stability of directional acoustic patterns for improved listening comfort. P2i nano-coating is available for increased moisture protection.